Garmin Drive GPS at The GPS Store, Inc. 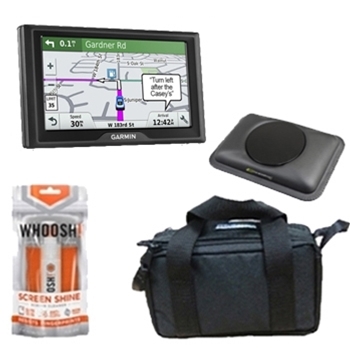 The Garmin RV 770LMT-S Value Bundle features the standard RV 770LMT-S package bundled with the XS700 Padded Case, Universal Friction Mount, and Screen Cleaner. Explore the open road! 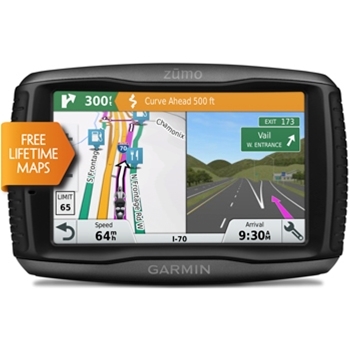 Garmin’s zumo 396 LMT-S provides clear spoken turn by turn guidance throughout North America. Built-In WiFi, Bluetooth, Smart Notifications and More. This rugged, glove friendly motorcycle GPS is a top choice for riders everywhere! 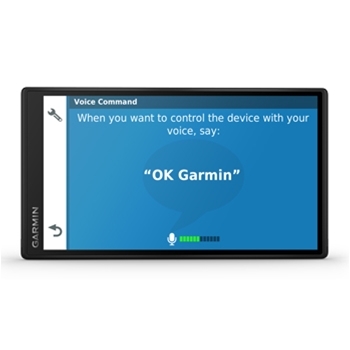 The DriveSmart 61LMT-S From Garmin has important safety features integrated into the unit for HandsFree use including Bluetooth and Voice Activation! 6” Pinch to Zoom Display, Preloaded Mapping and Millions of Points of Interest. The DriveSmart is a great choice whether driving across town or cross country. 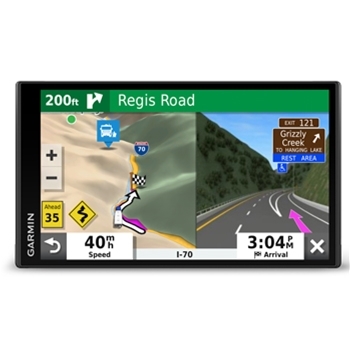 Garmin’s RV770 With Lifetime Maps, Traffic and Live Services is a must have for camping enthusiasts! 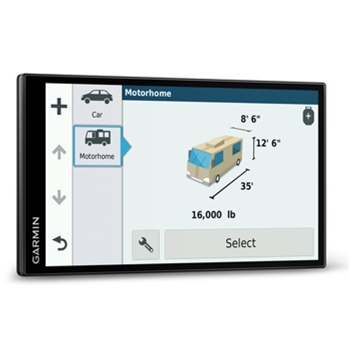 A large 6.95” Edge-to-Edge Display shows detailed mapping, RV Specific Routing and RV points of Interest. WiFi Map Updates, Bluetooth and Driver Alerts are just the beginning of this high end unit. 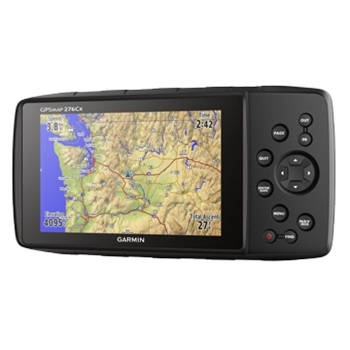 Garmin’s RV 780 GPS with 3D Buildings, HISTORY Database, and added content from Ultimate Public Campgrounds, KOA, iOverlander and Plan RV is a top contender in recreational vehicle GPS units. 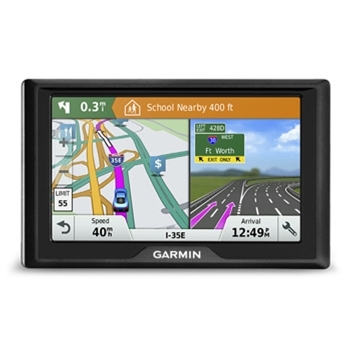 A large 6.95” display and preloaded with detailed mapping of North America, this RV GPS is customizable with you vehicles size and weight providing the best and safest route for you to take! 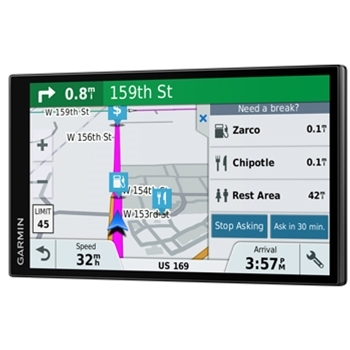 Garmin’s Drive 51 with Lifetime Maps will get you to your destination anywhere in the United States with Ease. Preloaded with detailed mapping and providing spoken turn by turn guidance, this 5” display includes Lifetime Map Updates. 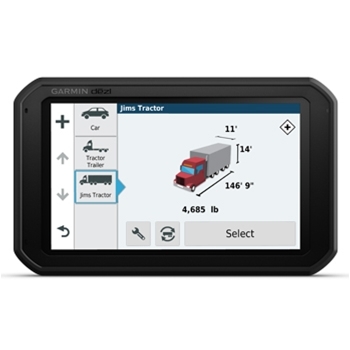 The Dezl 580 LMT-S from Garmin is a top contender in trucking GPS. Offering Lifetime Maps and Free Live Services, the 580 provides custom truck routing based on the size and weight of your truck. New Easy Break Planning provides timely notifications for breaks with UpAhead Services showing Truck Stops, POI’s, Weigh Stations and More. 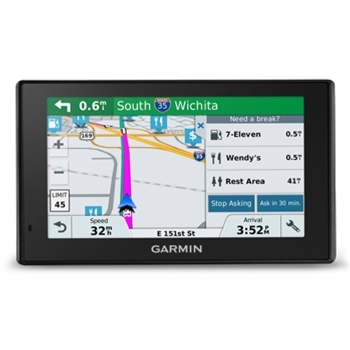 The dezl 780 LMT-S from Garmin provides a large 7” bright screen display with a powered magnetic mount to mount and remove your unit with ease/ With driver assist features, FREE live services, customized truck routing and more this is a top choice for truckers everywhere! The Garmin RV 770LMT-S Value Bundle features the standard RV 770LMT-S package bundled with the Garmin BC-30 Backup Camera. View what's behind your vehicle! 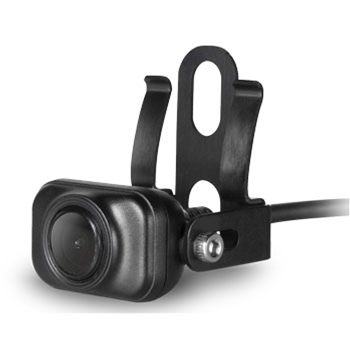 Garmin’s BC 40 Wireless Backup camera offers a simple and easy install by snapping right into the included license plate cover! Wirelessly pairs with compatible Garmin units with WiFi. Rugged and Waterproof to IPX7 Standards. Garmin’s Drive 61 Value Bundle comes with the Standard Drive 61LM packaged with a Garmin XS700 Padded Case, Universal Friction Mount, and Screen Cleaner. 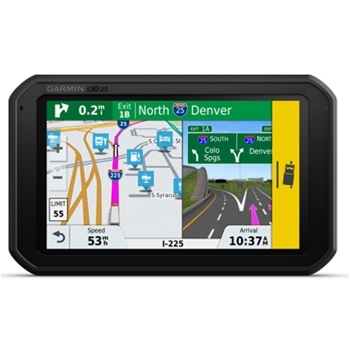 The Garmin GPSMAP 276Cx Automotive Bundle is designed for all on road and off road activities. A Bright 5” Sunlight Viewable, Keypad controlled screen with GPS and GLONASS Receivers make this a top choice for those looking for a rugged GPS with expandable mapping capabilities. The 276 cx comes Preloaded with City Navigator Maps for North America and includes Free Lifetime Map Updates for the life of the unit. Garmin's BC 35 Wireless Backup Camera pairs with Garmin Fleet and dezlCam 785 and dezl 780 units to provide a 160° wide angle view of what's behind you when backing up. Ready to Ride? Take the Garmin zumo 595 LM along for your adventure. Preloaded Maps of the U.S., Canada and Mexico with Lifetime Map Updates this zumo is rugged and waterproof to IPX7 Standards. Includes 5” dual orientation display, MP3 Player, Smartphone Link, Custom Maps and More! 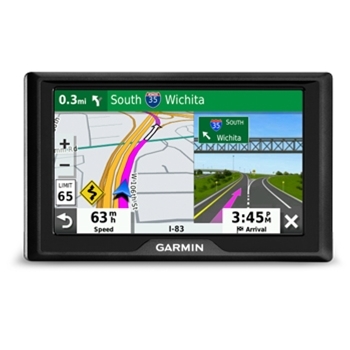 Garmin’s Drive 51LMT-S is a 5” Dual-Orientation Touch Screen Automotive GPS with features that will get you from point A to B efficiently. Whether Travelling Cross Country or Cross Town, the 51LMT-S will get you where you need to be. Detailed Maps of the United States Preloaded. Drive Smarter, Drive Safer. 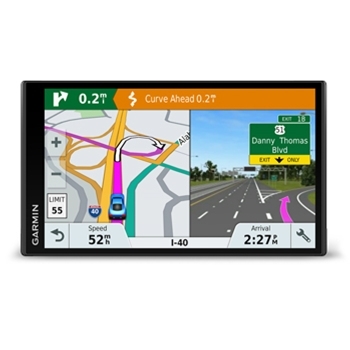 With Garmins DriveSmart 51LMT you get a full featured 5” automotive GPS with detailed mapping of North America, Millions of Point of Interest and Smart Driving features like Smart Notifications for Phone Calls, Texts and Emails right on your display. Bluetooth and Voice Activation! 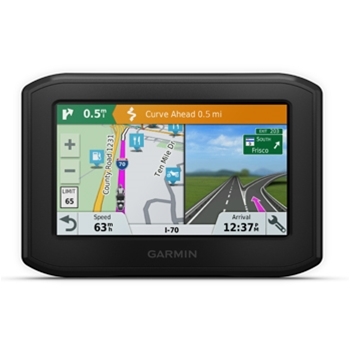 Garmin’s Drive 61 with 6” display includes Lifetime Map Updates and Turn by Turn Guidance throughout the U.S. Lane Assist with Junction View, UpAhead Services and Driver Alerts are just a few of the helpful features found in this affordable auto GPS. 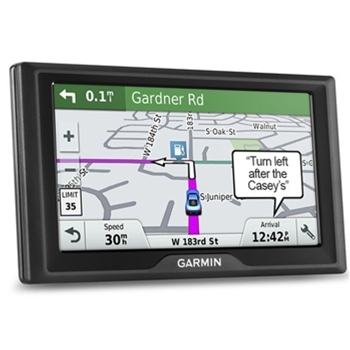 Garmin’s Drive 61LMT-S with detailed maps of the United States preloaded offers an easy to operate automotive GPS. 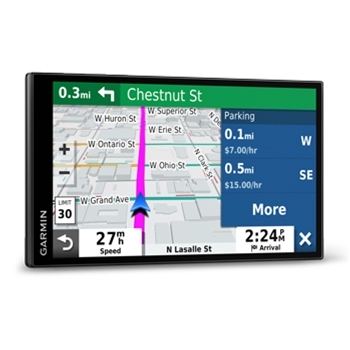 6” Dual-Orientation Display, Live Traffic and Lifetime Map Updates, Millions of Points of Interest, Real Directions with Landmark Guidance and much more! The eLog from Garmin is a simple solution to ensuring HOS recording complies with FMCSA ELD Mandates. No subscription or ongoing costs, the eLog is ready right out of the box supporting 9-Pin J1939 and 6-Pin J1708 diagnostic ports. Download the FREE garmin eLog app to your compatible smartphone which will complete your compliance solution! 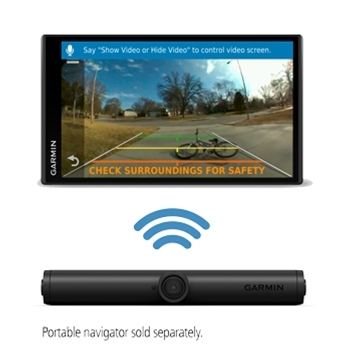 Garmin’s dezlCam 785LMT-S ensures you always have an extra set of eyes in case of an accident. The 785 with built-in dash cam automatically records the road and saves footage upon impact. 7” GPS offering truck specific routing, WiFi Updates, Truck and Trailer Service directory and much more! 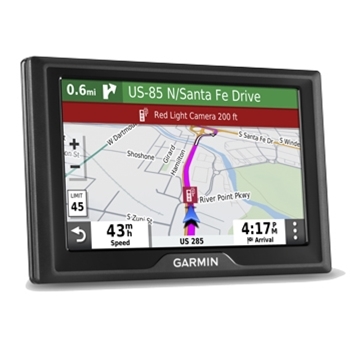 Garmin’s DriveSmart 55 offers a large 5.5” high resolution display with clear, simplified menus and easy to follow turn by turn guidance with real directions and driver alerts! Map Updates, Traffic Cable, Voice activated, WiFi Connectivity and more! Garmin’s Drive 52 Automotive GPS is a simple, straightforward 5” GPS without all the added bells and whistles. Turn by Turn guidance throughout the US and Canada is standard along with FREE map updates, Driver Alerts, Up Ahead and much more! Garmin’s Drive 52 Traffic is an easy to operate 5” GPS. Turn by Turn guidance throughout the US and Canada is standard along with FREE map updates, Driver Alerts, Up Ahead and much more! Included traffic cable provides updates on delays, accidents or construction along your route. The Garmin GPSMAP 276 Cx is a versatile GPS Navigator designed for all terrain activities. A Bright 5” Sunlight Viewable, Keypad controlled screen with GPS and GLONASS Receivers makes this a top choice for those looking for a rugged off road GPS with expandable mapping capabilities. 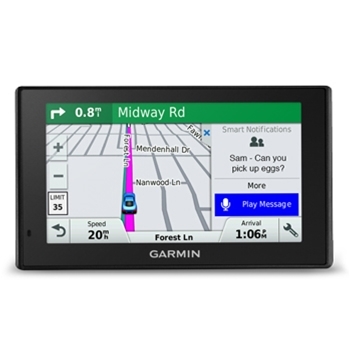 Garmin’s DriveAssist 51LMT is a top choice in automotive GPS units. With Forward Collision Warning and RealVision, the DriveAssist uses the built-in camera for added safety. Detailed Maps of the US and Canada, Bluetooth, Voice Activation and More! 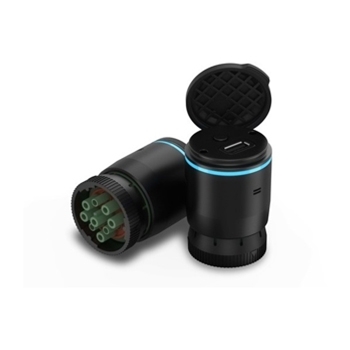 The Garmin DriveLSmart 51LMT-S Value Bundle features the standard DriveSmart 51LMT-S package bundled with an XS700 Padded Case, Universal Friction Mount, and Screen Cleaner. Garmin’s Drive 51LMT-S Value Bundle features the standard Drive 51LMT-S package bundled with an XS700 Padded Case, Universal Friction Mount, and Screen Cleaner! 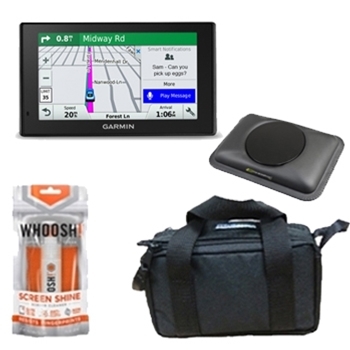 Garmin’s Drive 51 Value Bundle comes with the Standard Drive 51LM packaged with an XS700 Padded Case, Universal Friction Mount, and Screen Cleaner. The Garmin Dash Cam 55 gives you much more than just a camera. 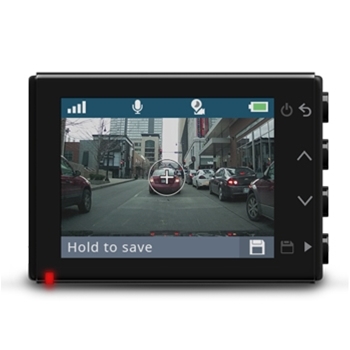 Lane Departure Warnings, Built-in Wi-Fi and Voice control are just a few features in the compact Dash Cam 55. 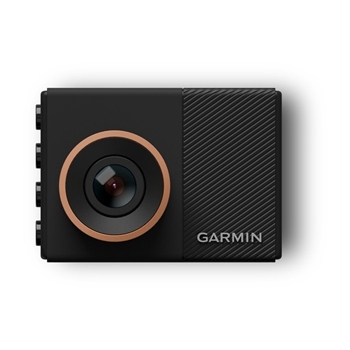 The Garmin DashCam 65W with a Wider Viewing angle captures more of the road ahead including cross traffic ensuring you have eyes all around. 2.1MP Camera with 1080p video capture. GPS Enabled shows exactly when and where incidents occurred. The Zumo 595LM tire pressure monitor bundle includes the standard Zumo 595LM package bundled with two tire pressure monitors. Now you can safely navigate and monitor your tire pressure on one display on your next open road adventure. 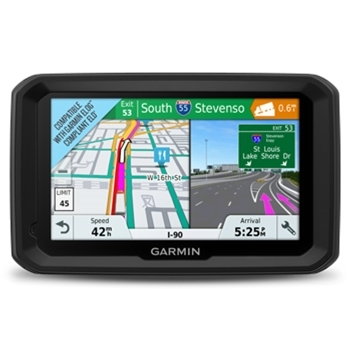 Garmin’s Drive 61LMT-S Value Bundle features the standard Drive 61LMT-S package bundled with a XS700 Padded Case, Universal Friction Mount, and Screen Cleaner ! 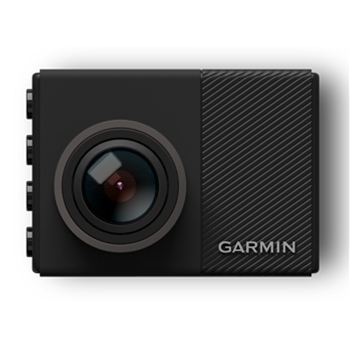 The Garmin Dash Cam 45 features an internal GPS, G Sensor for automatic recording, and HD recording with Wide Angle Lens at an affordable price. Track your dogs from the comfort of your car! Simply synch the LiveTrack 71 with a compatible Garmin dog tracker and keep track of your dogs while inside of your vehicle. Preloaded topographic and road mapping help you stay on course wherever your dogs take you!